One of the first things my best friend from childhood said to me after I told her I was having a girl was that she still had her Barbie dream house and all her Barbies for my daughter to play with. This past weekend during on a Mommy-Daughter date, Hannah was properly introduced to her first Barbie experience. 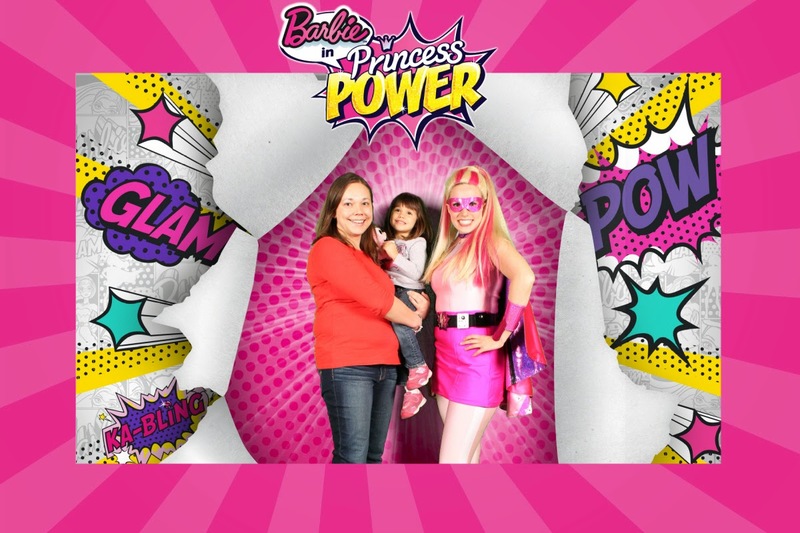 We were lucking enough to see Barbie's latest movie "Barbie in Princess Power" on the big screen - and she LOVED it. 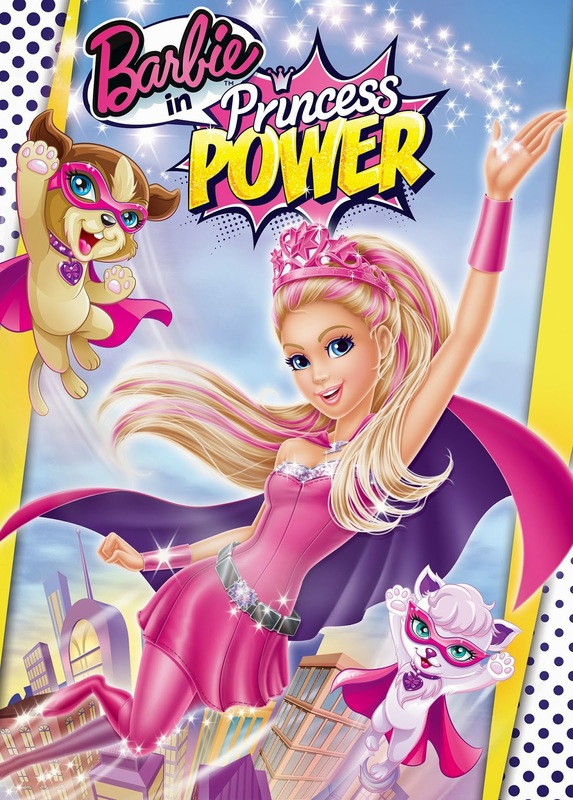 Barbie stars as Princess Kara, a girl who wants to make a difference in her community but her parents have other, safer plans. When she is kissed by a magic butterfly she develops super powers and starts to use them to make a difference in the kingdom under the alias of Super Sparkle. Hannah's favourite part of the movie was Super Sparkle's cell phone. For the past few days she has run around, throwing her left arm in the air while screaming, "Super Sparkle to the rescue!" After the movie, we had the opportunity to walk the pink carpet and meet Super Sparkle! The year of 2015 marks the Barbie #BeSuper campaign, designed to celebrate girl empowerment in a way that only Barbie can. 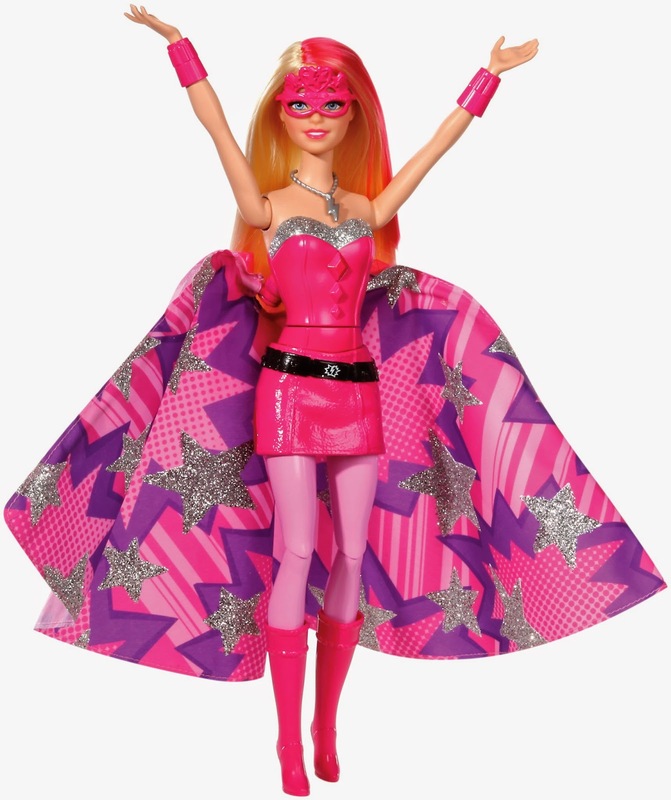 You can visit BeSuper.com to join the Barbie Super Squad and engage, create, imagine and share your own "super" stories. Faith Dickinson, a 12 year-old Super Squad Leader, was also at the event. She is the founder of Cuddles for Cancer, a company that makes fleece tie blankets and donates them to cancer patients. She told the girls in the audience that they could be super too just by volunteering their time to help others. To celebrate Being Super, there are numerous superhero-themed toys, the DVD movie, books and more.